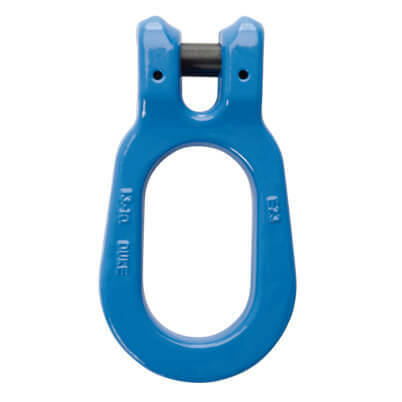 Heavy duty grade 100 skip clevis link for lifting applications in industrial environments. Working load limit range of 6.7 Tonne (Never Exceed WLL). Omega Links available for 13mm diameter lifting chain. 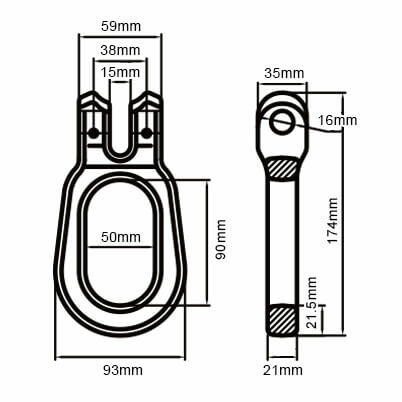 Each Skip Clevis Link is supplied with the relevant certification. We recommend only using Grade 100 Skip Clevis Links with Grade 100 Chain and Components.